Being a good salesperson is key to running a business. 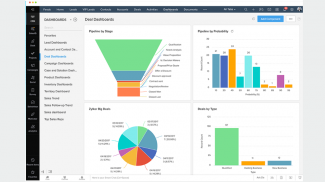 Even if you don’t directly deal with customers, as a business owner knowing the tools of the trade will help you better manage your employees as they look to close their next deal. 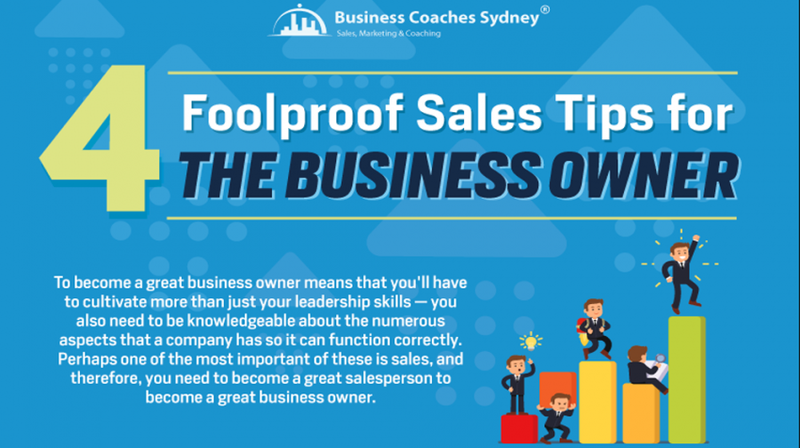 A new infographic by Garret Norris, founder and CEO of Business Coaches Sydney, titled “4 Foolproof Sales Tips for the Business Owner” looks to improve your sales skills and in turn make you a better business owner. 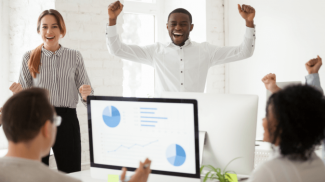 For small business owners who have to deal with all aspects of their operations, getting a better understanding of the sales process is a valuable asset. Norris starts by recommending owners review the sales cycle. This includes becoming familiar with the seven stages of the sales cycle to better manage the process and not get overwhelmed. Once you have become familiar with the sales cycle, Norris suggests customizing the process so it fits your requirements. The next tip is to understand your audience. When you have a good understanding of who your audience is and you have identified their needs, your chances of closing the deal will increase. You have to ask the right questions and be part of an in-depth conversations so you can get more out them. When you have identified what their needs are, the next step is to focus on the relationship. While the ultimate goal is to make the sale, building a relationship which will create a long-term and loyal customer is more important. Small business owners should focus on customer retention and this requires establishing and building trust as part of the relationship. According to Norris, this requires patience and positioning. You have to be patient to cultivate the best kind of relationship by nurturing the process properly. And to get to the right positioning, you have to target your prospects or customers in the right place or outlet. Whether it is in person, via a phone call, email or social media you have to be available where they are. The last tip is to find your value proposition. Even if your business is in a unique niche, you will have competition. You can look at the infographic below for more on the four tips. You really have to juggle a lot especially if you are just starting out. You will need to get to know your audience a bit more. Amazing Article….This is very helpful. I am a Professional manufacturer representative in Hexis. We work on behalf of premier Industrial Manufacturers and provide sales opportunities all the way through to the End Users. we are provide the best sales and service possible in marketing and promoting high quality products from our leading and reputable manufacturers. this techniques is very helpful for me and my company.